A great workout can do so many good things: Build muscle, calm your nerves, sculpt your abs. But a great workout can mean a terrible hair day. Even worse, it can damage your hair. Sweat is made up mostly of water, with trace amounts of ammonia, urea, sugar, and salts. Those salts can cause your color to fade quickly and the dampness of your hair makes it vulnerable to damage as well. Luckily, there are measures you can take. Read on for our top tips to keep your hair happy at the gym and beyond. 1. Bring your own shampoo. If you are washing at the gym, don’t be fooled by the fancy label on the complimentary beauty products. More often than not, one of the first ingredients will be Sodium Lauryl Sulfate (SLS) or Sodium Laureth Sulfate (SLES). Collectively, these two aggressive cleansers are usually referred to simply as “sulfates.” They can be really rough on your hair and cause hair color to fade more quickly than it should. There are gentle alternatives to SLS and SLES, but they have pretty long names that honestly sound about the same. The safest thing to do is to leave your own sulfate-free shampoo in your locker. 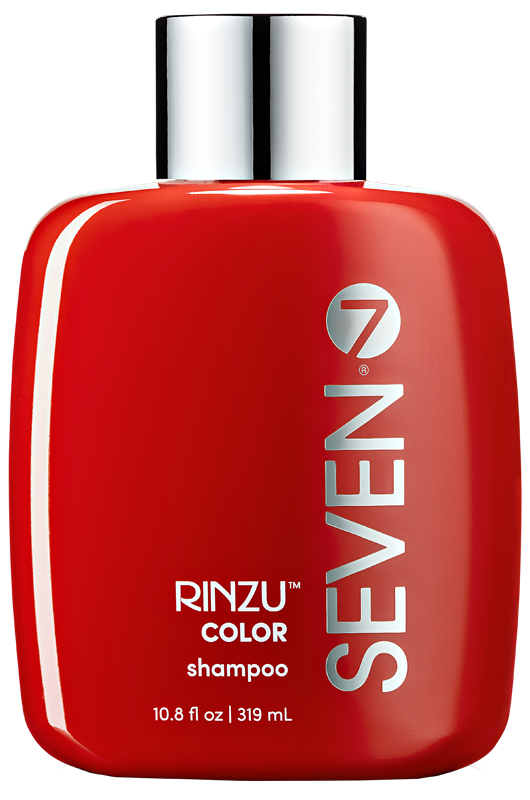 (All SEVEN products are sulfate free, paraben free, cruelty free and color safe). 2. Skip the shampoo altogether. Satara BOOST spray is always in our gym bags. 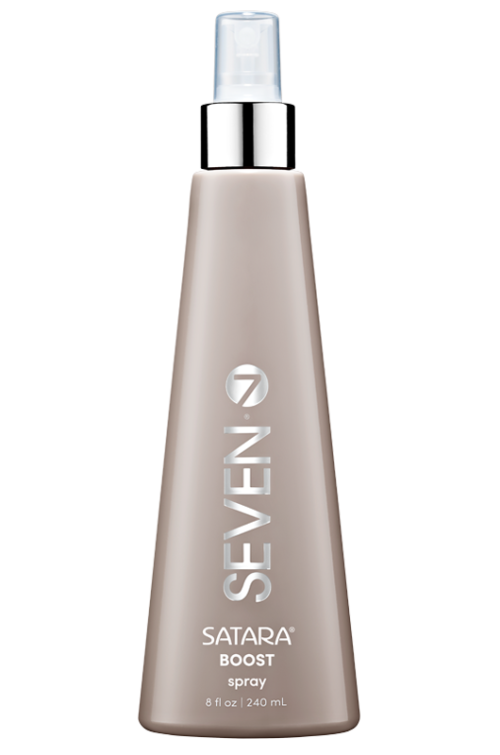 A great all-over volumizer, BOOST also acts as a quick root revitalizer. Dampen hair with 5-10 spritzes of BOOST spray at your roots. Lift hair straight up and hit with quick burst of air from your hair dryer. 3. Do dry shampoo right. Cubica DRY SHAMPOO spray is great at absorbing oils that accumulate during a workout, but the better way to use any dry shampoo is to spritz before your hair gets dirty. When you spray your clean, dry roots, oils will get absorbed as they are created. That means you will have to do less greasy damage control. You’ll find that you can go longer between washing and use less product as well! We are not here to judge whether the return of the scrunchie is good for fashion. It is however great for workout hair. Rubber bands are a leading cause of breakage. Your hair will be particularly vulnerable when it is wet and if the rubber band is wrapped too tight. The best solution at the gym is to grab a scrunchie and let it do its gentle job. 5. Bolster your color care. Coloring your hair is an investment. It only makes sense to protect it. 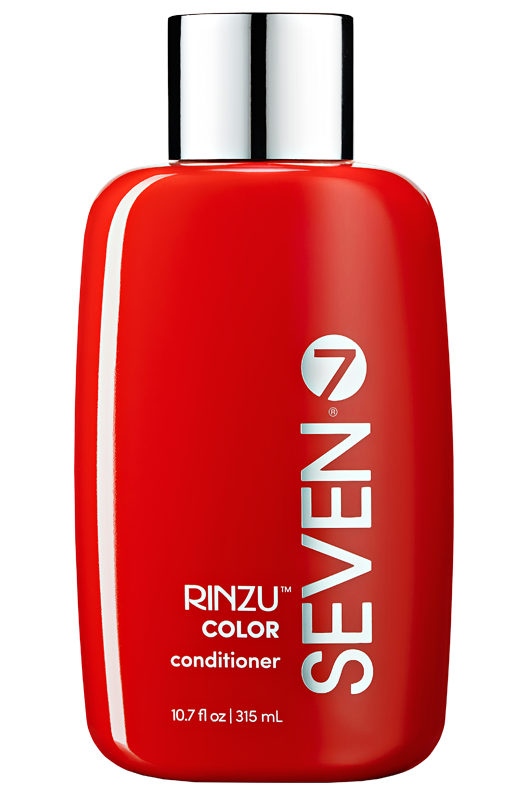 If your hue tends to fade within a few weeks of coloring, consider switching to COLOR shampoo and COLOR conditioner. Specifically formulated to help retain pigment, this cleansing set also nourishes fragile hair with quinoa, organic argan oil and organic jojoba oil. The sun is also a huge bleaching factor, so PROTECT spray is a locker room must-have if you live in a sunny climate.